Earlier this month, I had the true privilege of taking part in a discussion with Justice David Stratas of the Federal Court of Appeal, who is one of Canada’s most prominent jurists, on the subject of statutory and constitutional interpretation. 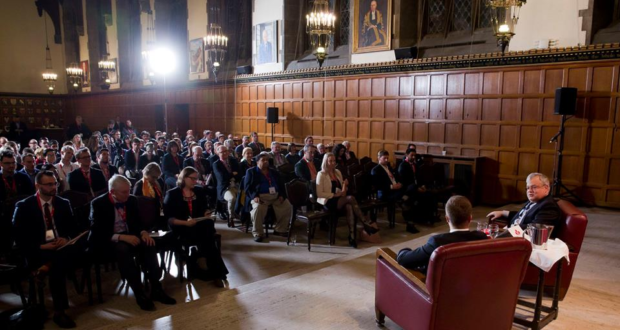 The conversation was part of the Runnymede Society’s annual Law & Freedom Conference. 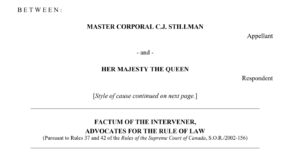 Justice Stratas and I covered a lot of ground, including the basics of statutory interpretation, the justification for the textualist approach, the perils of purposive analysis, the living tree doctrine, and more. Our talk kicked off what, in my opinion, proved to be the best Law & Freedom Conference to date. The entire conversation and the excellent questions that followed can now be viewed on YouTube. This “original meaning rule,” while falling out of fashion in the constitutional realm with the advent of the living tree doctrine four decades ago, continues to inform the interpretation of ordinary statutes. The Supreme Court has reaffirmed the rule on numerous occasions, most recently in the 2013 decision, McLean v. British Columbian, stating that “words must be given the meanings they had at the time of enactment.” The reason for employing the original meaning rule in the statutory sphere is obvious: if we seek to understand the meaning of the words the legislature has enacted, it only makes sense to understand what those words meant at the time they were enacted. One could theoretically be a textualist and simultaneously reject originalism, but in practice, the search for textual meaning is almost invariably the search for its original meaning. Justice Stratas and I both took the view that constitutional interpretation in Canada should be viewed essentially as a form of statutory interpretation. The nature of certain constitutional provisions may necessitate a broader reading, but fundamentally one is conducting the same sort of exercise. 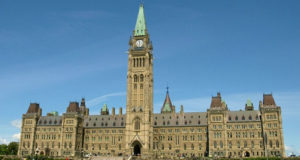 Unlike the U.S. Constitution, which is arguably of a distinct character from ordinary statutes, Canada’s constitutional documents are statutes that were enacted by the British Parliament. They should therefore be interpreted as one would interpret a statute, and this includes applying the original meaning rule. As I have argued elsewhere, the decision in Edwards v. Canada, known to many as the Persons Case, did not represent a break from this methodology. While the decision is famously known for giving birth to the living tree metaphor, its reasoning was dry and textualist. Indeed, the Privy Council affirmed the Lambe decision, qualifying it only to the extent that constitutional provisions should be afforded a “large and liberal” construction, contrary to penal and taxing statutes, which should be interpreted strictly. Just three years after Edwards was handed down, a unanimous Supreme Court reaffirmed that the B.N.A. Act should be construed “according to the ordinary canons of construction” (with no indication that the binding precedent in Edwards had affected or even qualified that rule). The Privy Council and Canadian courts would continue to treat the B.N.A. Act as a statute subject to the original meaning rule for another five decades after Edwards was decided. One of the common criticisms leveled against originalism is that it necessitates “frozen concepts,” which prevents the Constitution from responding to societal change. This, with respect, is a strawman argument. While an originalism based on original intent or original expected applications can fairly be criticized for tying modern society to the dead hand of the past, the textualist original meaning rule is far more flexible. This interpretive principle ensures that while the meaning of the term is fixed, its specific interpretation or application can change over time. As Ruth Sullivan explains, the original meaning rule can be applied in two separate ways. In some situations, a court will adopt a “static” approach, meaning that the original interpretation of a provision governs. In other contexts, the courts will adopt a “dynamic” approach by conceiving of the original meaning more abstractly as “original sense” or “original definition,” and thereby allowing new phenomena to come within the ambit of the word. In determining which approach to take, courts should have regard to the character of the legislative language and the degree of discretion that it confers upon the interpreter. The Fathers of Confederation clearly never conceived of credit cards when they granted Parliament the banking power. However, since a bank’s issuing of credit cards is fundamentally related to credit, which is an historic banking activity, it makes no difference that the practice did not exist in 1867. On the other hand, this dynamic approach should not be used as an invitation to unmoor the provision from its original meaning. 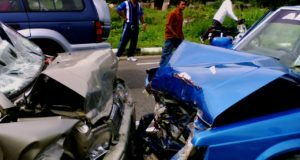 It is now commonplace for banks to underwrite homeowner and motor vehicle liability policies. While Parliament perhaps possesses the legislative authority to delineate the scope of a bank’s participation in the insurance market, it ought not to be permitted to regulate the conduct of banks and customers within that market. The underwriting of insurance policies has no connection with credit dealing or any other historical activity carried on by banks. What is more, insurance contracts already existed at the time of Confederation and were shortly thereafter designated as falling under the province’s exclusive authority to make laws relating to property and civil rights. The history of the criminal law power provides a nice illustration of the basic distinction between a properly dynamic approach to original meaning, on the one hand, and a non-originalist “living tree” approach on the other. In the Board of Commerce case, Lord Haldane stated that Parliament’s power to make criminal law was limited to situations “where the subject matter is one which by its very nature belongs to the domain of criminal jurisprudence”– in other words, to the specific type of crimes that existed at the time the Act was passed in 1867. This approach was overly static as it appeared to fix the specific interpretation of criminal law in 1867 and thus prevented Parliament from responding to social, economic and technological developments. For this reason, the Privy Council broadened its interpretation a decade later in the Proprietary Articles Trade Association case, which the Supreme Court then refined in the Margarine Reference. 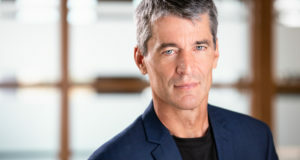 Rand J.’s test in the Margarine Reference correctly recognized that the essential meaning of criminal law is “a body of prohibitions” that serve a traditional criminal law purpose, such as public peace, order, security, health and morality. In other words, it matters not whether the crime itself existed in 1867; what makes a law proper criminal legislation is that it is captured by the broad meaning of criminal law as used in s.91(27). This is a dynamic approach, but one that remains faithful to the original meaning. The broad and essential meaning of “criminal law” remains the same, but this original meaning can be applied dynamically to new external circumstances. This dynamic originalist approach can be contrasted with the non-originalist approach the Court has taken in some of its more recent decisions. While the traditional test is still applied for the most part, several decisions have upheld laws that either lack the prohibition/penalty dichotomy, or that were not enacted for a traditional criminal law purpose. These decisions raise the very real question of whether the Supreme Court has broadened the criminal law power beyond its original meaning, which has empowered Parliament to encroach upon the exclusive sphere of the provinces to regulate property and civil rights. In the Charter context, a dynamic originalist approach would enable the Charter to keep apace with societal developments, while also ensuring that the nature and limits of the rights themselves remain fixed. Freedom of association could thus encompass new types of associations, but would be interpreted as an individual freedom, not a collective right. The phrase “in particular” in s.15 would allow for new analogous grounds, but those grounds must be concern characteristics that are actually immutable. The state could raise new policy concerns that did not exist in 1982 at the s.1 stage, but it would always bear the onus of justifying a rights limitation and could not rely upon so-called “Charter values,” which are found nowhere in the Charter’s text. 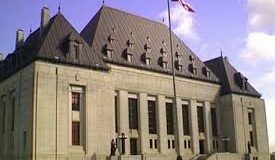 Several commentators have argued in the last few years that Canada should embrace constitutional originalism. There has been little discussion, however, of what exactly this would mean. Much work remains to be done in this regard, but as a starting point, it is my respectful submission that the courts should treat constitutional texts fundamentally as statutes to be interpreted in accordance with traditional principles of statutory interpretation. Both in the statutory and constitutional realm, the courts should look at the ordinary meaning of the words in their entire statutory context and use the traditional tools of statutory interpretation – what are often known as the “canons” – to discern the meaning of the words. One of these canons, as discussed, is that the meaning of statutory language remains fixed and that words should be construed as they would have been when the statute was first enacted. And while “purpose” plays a role, it should, as Justice Stratas argued, be discerned from the text itself. Courts should be wary of engaging in an inquiry of the framer’s supposed intent, whether in the context of the Constitution or an ordinary statute. Evidence extraneous to the text itself should be utilized carefully and sparingly and only to resolve ambiguity in words, not to justify an extra-textual purpose. This, I believe, is what Justice Stratas and I both were advocating at the recent Runnymede Society conference. It is an approach with deep roots in our constitutional tradition and was the dominant form of constitutional interpretation for most of Canadian history. In the B.C. Motor Vehicles Reference, the Supreme Court expressly adopted the living tree approach to the interpretation of the Charter, despite the Charter having been enacted only three years earlier. The Court appeared to foreclose any further debate on the subject. But as Professor Leonid Sirota and Benjamin Oliphant have persuasively argued, the Supreme Court’s approach since then has been multi-faceted and inconsistent. 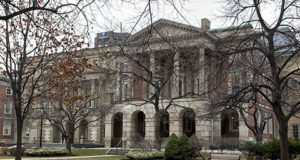 In the rights realm, the Court is usually content with the living tree – or even post-living tree – approach, but in other contexts, such as the historical bargain sphere, the Court takes a much more originalist view. The problem is that the Supreme Court has offered little guidance in terms of which approach is appropriate in a given context, and more particularly, what each approach entails from a methodological perspective. 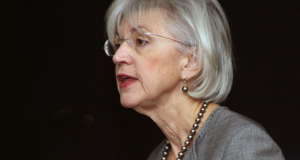 Indeed, as Justice Stratas correctly noted during our conversation at the Law & Freedom Conference, the debate in Canada over how to interpret the Constitution is far from over; in fact, it has only just begun. Sharpe v Wakefield (1888) 22 QBD 239, aff’d  AC 173). McLean v. British Columbia (Securities Commission),  3 SCR 895 at para 46. Bank of Toronto v. Lambe,  JCJ No 1 at para 1 [“Lambe”]. As RCB Risk notes, the “methods of exposition” were the rules of statutory interpretation and specifically Maxwell’s rule that “the object of all judicial interpretation is to determine what intention is either expressly or by implication conveyed by the language used.” Thus, the “methods of exposition” prima facie refer to textualist methodology. See RCB Risk, A History of Canadian Legal Thought: Collected Essays, eds, G Blaine Baker & Jim Phillips (Toronto: University of Toronto Press, 2006) at 54. R v Miller and Cockriell,  BCJ No 1040, para 161. Indeed, it very much resembles the connotation-denotation distinction popular in Australian constitutional interpretation. 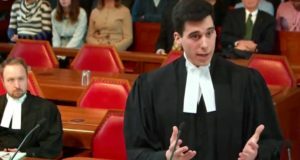 Alberta (Attorney General) v Canada (Attorney General),  JCJ No 5. Ibid atpara 14 [emphasis added]. To be sure, this is a difficult task in practice, though there is much to be said for Duff C.J.’s definition of a banker as a “dealer in credit.” Canadian Pioneer Management Ltd. v Saskatchewan (Labour Relations Board),  1 SCR 433. See Citizens Insurance Co of Canada v Parsons,  UKPC 49 at 6-7. Re Board of Commerce Act 1919 and the Combines and Fair Prices Act 1919,  UKPC 10, at para 11. Proprietary Articles Trade Association v Canada (AG),  UKPC 11. Reference re Validity of Section 5 (a) Dairy Industry Act,  SCR 1 at para 49 [Margarine Reference]. R v Hydro-Quebec,  3 SSCR 213; Re Firearms Act,  1 SCR 783. RJR-MacDonald v Canada,  3 SCR 199. Benjamin Oliphant and Léonid Sirota, “Has the Supreme Court of Canada Rejected ‘Originalism’?”(2016) 42:1 Queen’s LJ; and Léonid Sirota & Benjamin Oliphant “Originalism in Canadian Constitutional Jurisprudence” (2017) 50:2 UBC L REV.